One of the most crucial but challenging aspects of successful home remodeling is to blend older home styles with new construction and designs. Having a sense of continuity in the design while including the latest design elements is something that every homeowner wants, but until they begin contemplating designs in earnest, they can’t really begin to see how that can be accomplished. 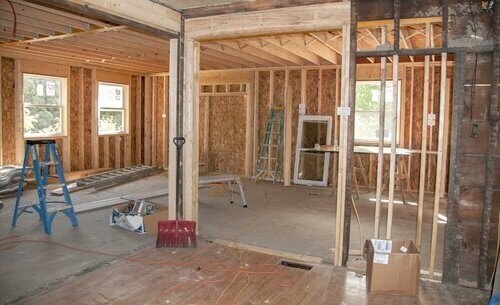 While homeowners will rely on experts to sort this out, not all home remodelers in Scottsdale have the broad experience to blend the old with the new. Here in Scottsdale, contemporary, post-modern and midcentury homes all exists together often in a single neighborhood. These designs, which encompass the 1930’s to the present era, might seem to have a great deal of overlap in general. The truth is that they can be very different when interpreted by architects that are committed to the driving elements of that particular style and era. The beauty and practicality of a partial or complete home remodel is always about preserving the best of the old design, often with enhancements for a particular style of living, and integrating new contemporary design elements. This is where an understanding of design evolution as well as current and emerging design and lifestyle considerations must come into play from the remodeling firm. This obviously goes beyond the expected quality of construction and materials that are fundamental to a home remodeling firm. The challenge is that not all home remodelers in Scottsdale have the design expertise and the knowledge of style evolution to provide the guidance that homeowners need to keep things cohesive. While a home owner wants what they want, it’s imperative for the remodeling firm to have a thorough understanding of the current as well as the future needs of the homeowner in order to advise them on ways to make the design better. For example, exposed beams and floor-to-ceiling windows that bring the beauty of nature inside can be aspects that a homeowner wants regardless of the present design style of their home. An experienced and skilled design and build firm that is grounded in the design history as well as contemporary design features can help to make adjustments in how those elements will be presented. That knowledge when applied will ensure that the new elements fit with the overall design of the older elements of the home. That’s important not only for the present homeowners, but it’s also an important consideration for a future sale of the home. While a homeowner will almost always know what they like, they may not have seen every possibility that can broaden the palette of what they like. By choosing carefully among home remodelers, Scottsdale homeowners can realize their vision for a home remodel while ensuring that the vision finds the right balance between the past and the future. At Republic West Remodeling, we are a leading team of home improvement contractors that understand the varied home and living styles in Scottsdale, Phoenix, and the surrounding communities. That enables us to partner with you to realize the design of your dreams without compromising its integration with all elements of your home. Contact us today to discuss your home remodel project.